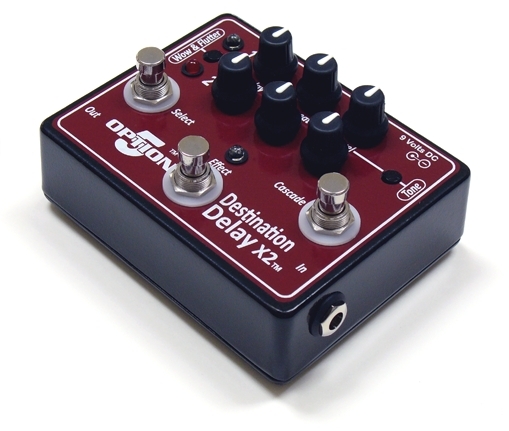 The Destination Delay X2 is a double delay pedal that faithfully replicates, sonically, a vintage tape delay. You can either use Delay 1 or 2 separately or Cascade them both together for unbelievable depth and space that will take you to heights previously unimagined! If that is not enough we added a Wow & Flutter control and a Tone control! 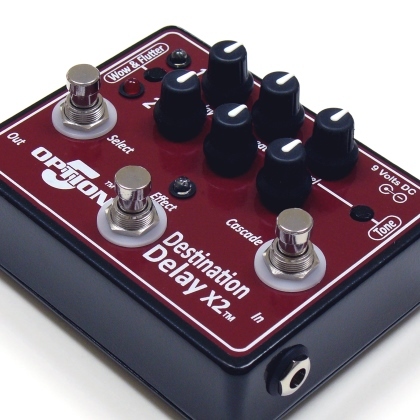 This is by far one of the best hand crafted delays available for the money. As always this pedal is RoHS compliant and is hand-built in the USA with the finest components.